I’m a fan of museums, landmarks, historical sights, and great beaches on vacation, but sometimes, vacation is all about good food. On our recent family trip to Chicago, we decided to do the pizza challenge with our kids and search for the best deep dish pizza. Unfortunately, we were only in town a few days, and one of those days was Thanksgiving, so we didn’t have time for a thorough sampling. We limited our pizza test-tasting to just two deep dish pizzerias: Giordano’s and Lou Malnati’s. Giordano’s and Lou Malnati’s are well-known chains that can be found throughout the Chicago area. A few of my kids were excited about the pizza challenge, and a few couldn’t believe I would expect them eat anything that wasn’t Papa John’s cheese pizza. I had to appease the complainers with thin-crust cheese pizza, which I also thought was pretty tasty. But the rest of us enjoyed sampling and evaluating the two famed pizzeria’s. Crust: Giordano’s has a large flaky crust to hold this pizza pie together. We thought it tasted delicious, but it was thick enough around the edges that we wanted extra sauce to dip it in. Sauce: The sauce is amazing and plentiful. This may be why my husband and I love Giordano’s so much. Cheese: I don’t know what cheese blend Giordano’s used, but it was delicious and again, there was plenty of it. Toppings: Giordano’s packs the toppings on. We ordered pepperoni, onion, green peppers and mushrooms, and there were plenty of toppings to go with all the cheese. Giordano’s is famous for plenty of meat on their pizzas. Crust: This crust was crunchy and buttery. It is a harder crust to chew than Giordano’s, but the flavor was great. Sauce: This sauce tasted like fresh tomatoes. But there wasn’t enough of it for the sauce-lovers among us. Cheese: We loved the cheese on Lou Malnati’s pizza. Toppings: We didn’t try to sausage, but I’ve heard it is amazing. Our pizza with pepperoni, green peppers, and mushrooms was delicious. We thought their vegetables tasted crisp and fresh. Our vote for best pizza goes to Giordano’s, but we know plenty of Lou’s fans who would disagree. You won’t be disappointed with either one, but I will be dreaming of Giordano’s for the next several months. We made great memories with our pizza challenge. If you are in Chicago and want to try a Chicago deep dish pizza challenge, here is a great review of several pizzeria’s to consider checking out. If this post left you hungry for some great food, both restaurants will ship a pizza to you. Order Lou Malnati’s here and Giordano’s here. Have you ever gone on a quest for great food while on vacation? I would love to hear about it in the comments! Looking for more fun things to do in Chicago? Check out our Illinios page. The pizzas look so good! I could plan a trip to Chicago just for that. 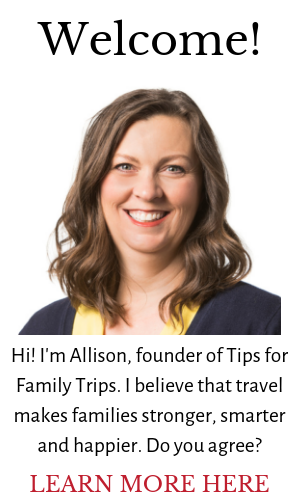 It would be worth it if you did, Allison!